October 11,12,13 – Cuyahoga Valley Golden Retriever ClubClick Here to View Flyer!! Click Here to Download Entry Form Only! Entries: Closed, Wed., April 10, 2019 6:00 p.m.
Indoors/air conditioned on new in-fill, top-rated high quality sports turf over dirt. Area set aside for judging 100’ x 100’ with no obstructions. There will be a B Match on Saturday after the regular trial is finished. 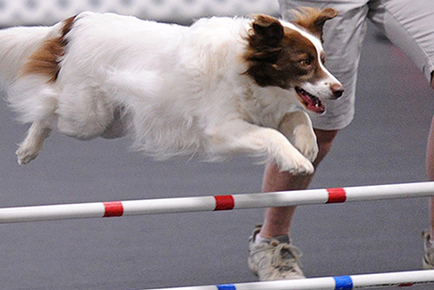 Note: all trials are open to all AKC-Recognized Breeds and mixed breed dogs enrolled in the AKC Canine Partner program. Indoors/air conditioned on new in-fill, top-rated high quality sports turf over dirt area set aside for judging (each ring) 100’ x 100’ with no obstructions. Entries: Open: Wed., April 10, 2019 7:00 a.m. — Close Wed., May 15, 2019 6:00 p.m.